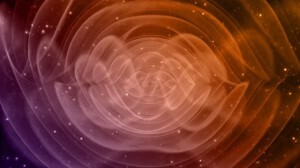 The Nobel-Prize-winning observations of gravitational waves by the Advanced LIGO and Virgo detectors have opened an entirely new window to study the universe. The detection of the first gravitational-wave signal, GW150914, on September 14th, 2015, can be considered one of the greatest scientific milestones of all time, confirming a century-old prediction of Albert Einstein’s Theory of General Relativity. At present, gravitational waves have been detected from mergers of binary black holes and binary neutron stars. Different types of gravitational-wave signals from other sources await to be detected, as e.g. core-collapse supernovae, spinning neutron stars, white-dwarf binary mergers, and even stochastic backgrounds of astrophysical or cosmological origin. The detection of gravitational waves is, foremost, a technological challenge. In addition, there are significant mathematical and computational difficulties hampering the process of detection. One of them involves the solution of Einstein’s gravitational field equations, either through approximate methods or by fully numerical means, to generate waveform signals to aid the identification of the event types and the inference of their physical properties. Another major computational difficulty is the analysis of large volumes of non-Gaussian, non-stationary noisy data, aggravated by the presence of transient spurious signals (glitches) that may not only disturb astrophysical signals but also mimic true signals, increasing the false-alarm rate and producing a decrease in the detectors’ duty cycle. This workshop will bring together experts in the field of mathematical and numerical relativity, and researchers in gravitational-wave data analysis, who will discuss recent advances for the detection and reconstruction of gravitational-wave signals from advanced interferometers. It will cover aspects ranging from the formulation of Einstein’s theory of General Relativity, including state-of-the-art numerical methodology for the generation of waveform templates from astrophysical systems, to gravitational-wave detector characterization, data analysis, and parameter estimation, with modern mathematical and numerical approaches. The workshop will include a poster session; an announcement for posters will be sent to registered participants in advance of the workshop.